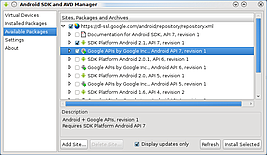 Download the SDK package from developer.android.com and unpack it. 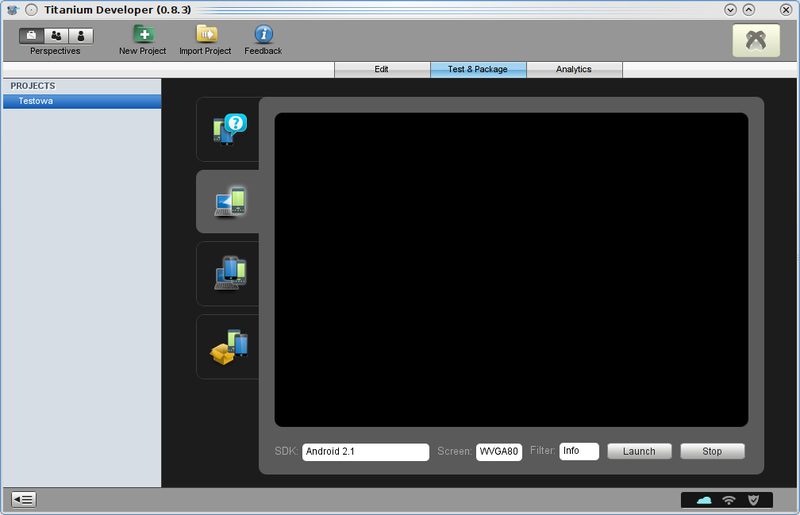 From the tools subfolder launch GUI configuration app - ./android (android.exe on MS Windows). 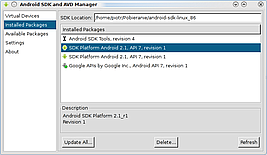 In this app we can download SDKs for specific Android versions, and create emulator configurations and launch it. 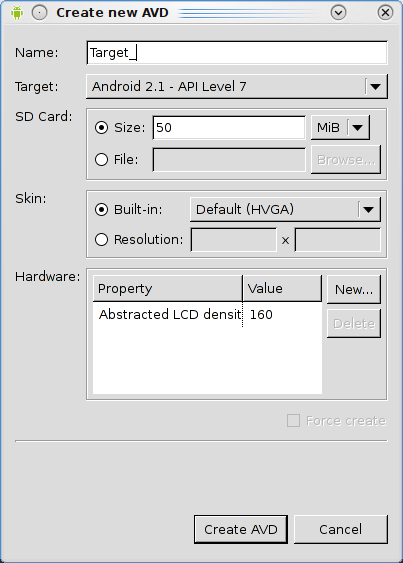 We specify configuration name ("Target" as a name is needed for Titanium as it AFAIK looks for such configuration and reuse it), Android release (Target label), SD card size and optionally hardware support. Android SDK works, now we have to install Titanium Developer and make it work with Android emulator. 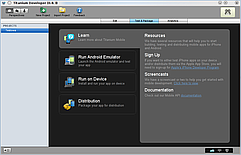 Titanium Developer is an application, platform that allows creating native mobile apps on Android and iPhone OS. 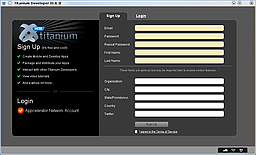 It also can create cross platform desktop apps. 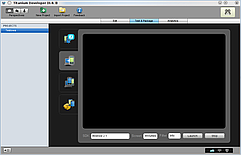 The mobile API won't let you make multithreaded 3D game, but social, web powered applications are doable with this platform. For more details check , application showcase, or documentation. 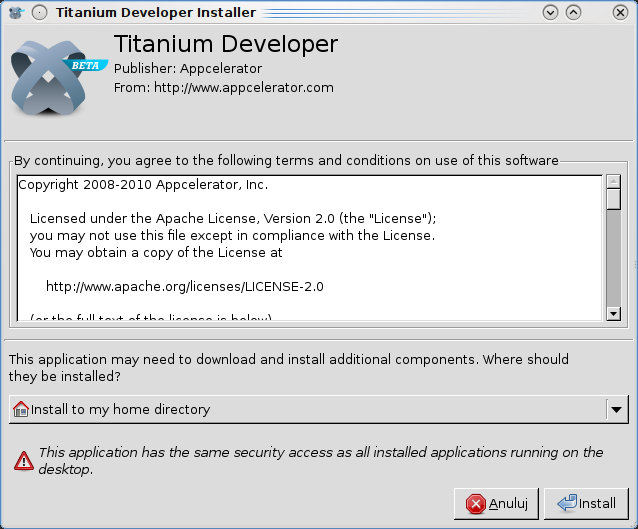 Download Titanium Developer for you OS. 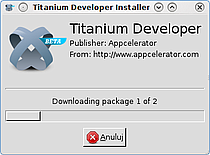 For Linux untar the package and launch "Titanium Developer". When you register/login you will be able to use Titanium cloud services and you will get nice update notifications. 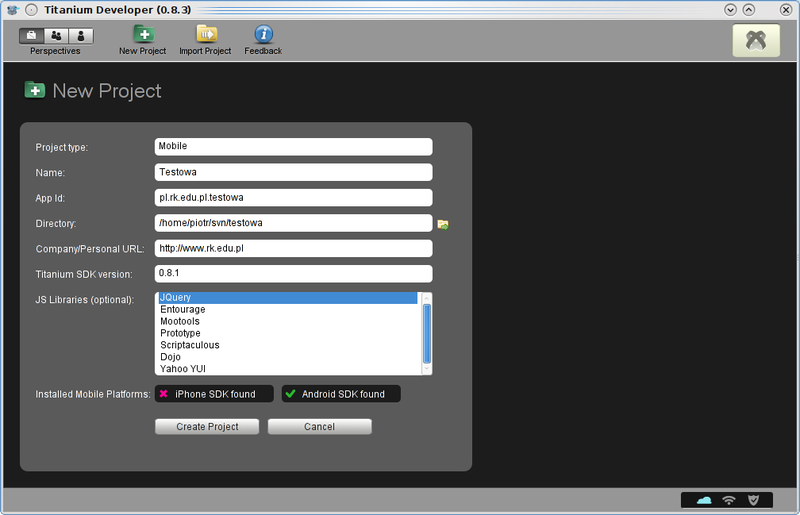 Application is ready for work, so we star with creating a mobile project. 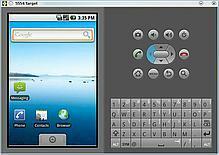 On project creation we select the Mobile type. 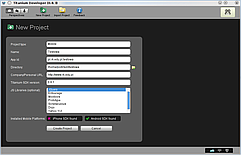 Fill in the form and create the project. 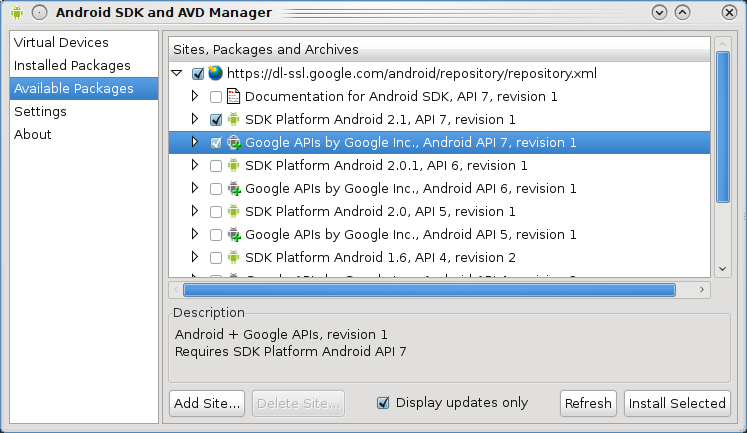 If Titanium can't find the Android SDK - show him the path to folder with Android SDK. 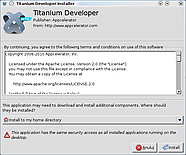 Titanium mobile SDK is still beta and it needs some hammering to work with Android SDK. 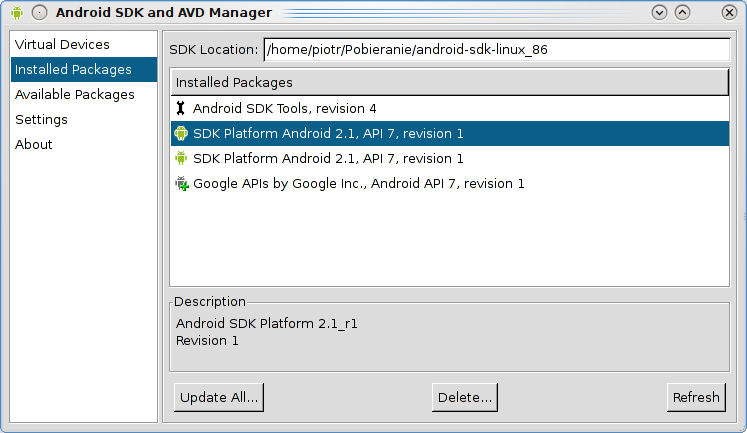 On the bottom of the page you can set Android SDK version, screen resolution. Hit launch to launch the initial application. Sometimes Developer needs to be restarted to work. 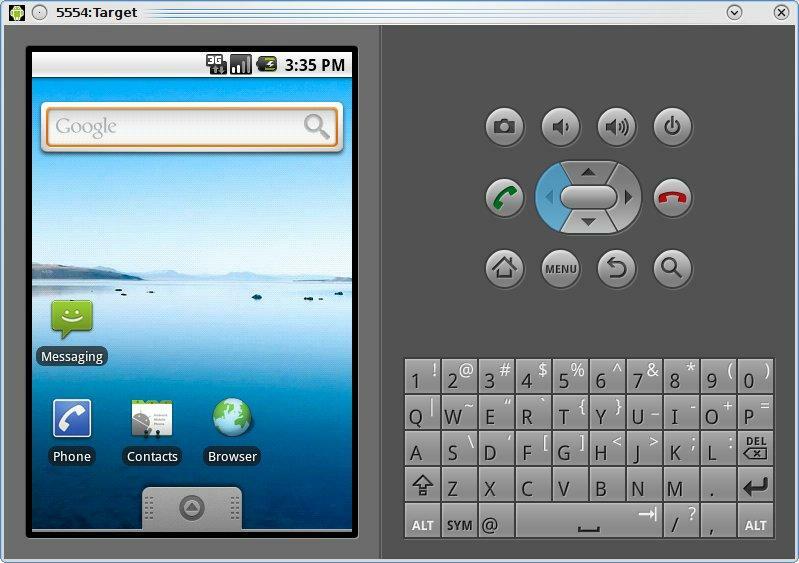 Also if the Android emulator booted, but the app didn't try hitting the launch button once more while the emulator is running. 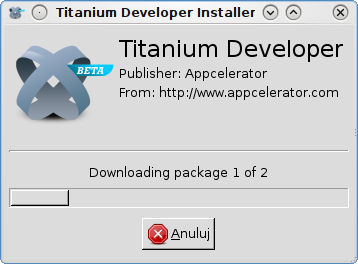 Filter option on the emulator page can show you exceptions or other errors made but Titanium or your app.